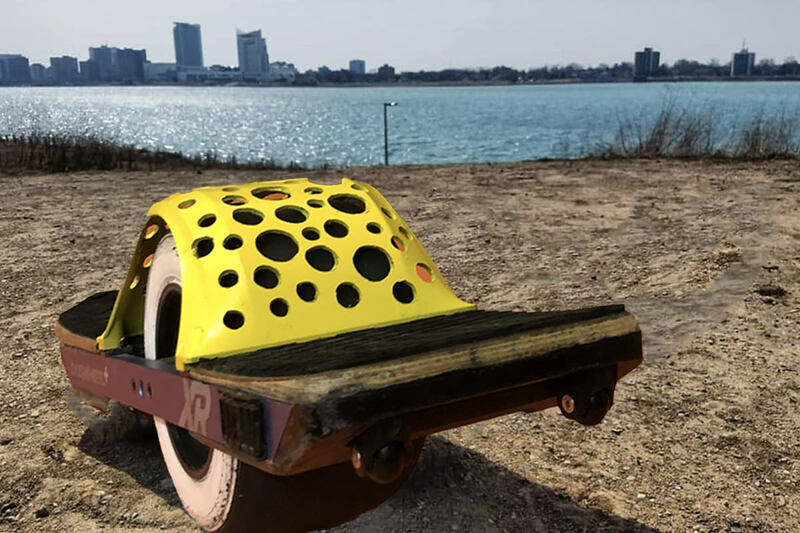 What's the biggest problem with fenders? They're too gosh darn heavy! 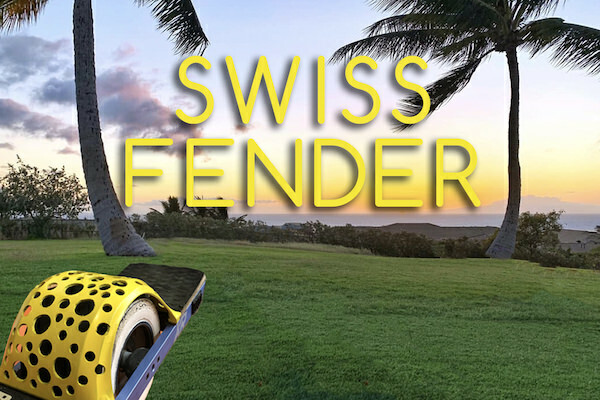 That's why we teamed up with Switzerland to develop the lightest fender (excluding the Float Fender by The Float Life) for the OneWheel. How did we manage it? We simply drilled a bunch of holes into a Craft & Ride Spectrum Magnetic Fender. The fact that it was yellow and made the fender look like a piece of cheese was completely incidental.